Protecting your boat deck is an important aspect of boat maintenance. 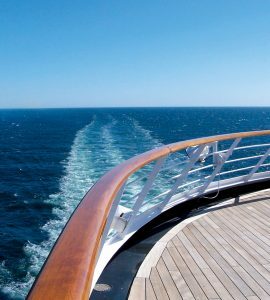 It is not only a satisfying job that leaves your boat shining and gleaming in the sun, but it also helps the longevity of your boat deck. Regular deck maintenance will contribute to keeping your boat looking good and functioning well for many years to come, without expensive trips to the boatyard restoration team or, even worse, replacing your deck. Unfortunately, the elements do not treat boat decking too kindly. Humidity and the sun’s harmful UV rays can cause the wood to fade and become grey and dull. Salt and rain can also cause damage, ingraining dirt and cause corrosion. To keep your boat looking shiny and new as well as protecting and maintaining the deck for prolonged use, it is fairly straightforward and one of the least labor-intensive jobs you will need to undertake on your boat. To ensure an even protection across the deck, first, remove any old solid or semi-transparent stains. A solution such as Prepdeck can help to remove stains, grade stamps, mill glaze and surface contaminants. Prepdeck can be applied using a light synthetic brush for ingrained stains, or a roller for light work. If you’re already an Owatrol customer using Owatrol oils you won’t need to do this step – the beauty of Deks Olje D1 is no stripping or sanding for maintenance! After stripping the old stains from the deck, the wood must then be neutralized to stop the stripper from reacting with the new coating. 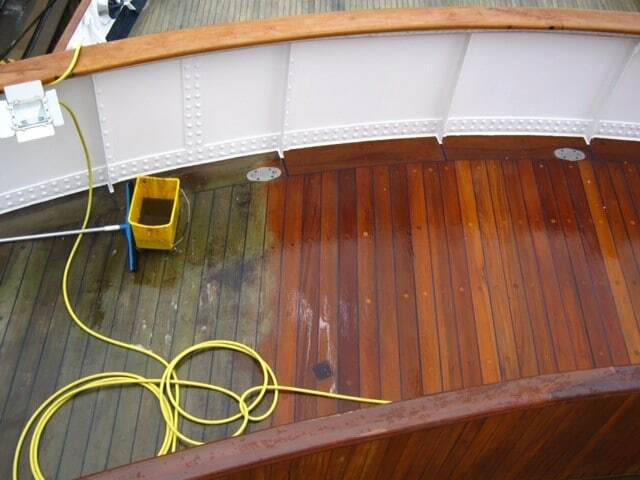 Use Deck Cleaner to fully remove the Prepdeck from the wood. Deck Cleaner helps to rejuvenate the surface and bring the wood back to its natural color, making it the perfect base for an oil treatment. Deck Cleaner is a very useful product to have handy for boat maintenance, as well as cleaning your deck; Deck Cleaner also works wonders on removing rust stains or cleaning plastic elements. Now you have a clean deck, use an oil that fully penetrates the wood so that it protects your wood from the inside. Deks Olje D1 is a penetrating wood oil for hardwoods that will fully saturate the wood to replace the oils that are naturally lost, feeding the wood from within and protecting it from the elements. Deks Olje D1 is an ideal product for easy maintenance, it is easy to apply and doesn’t require you to sand the wood beforehand. The hardwood oil is applied in wet-on-wet coats until the wood is fully saturated, to fully penetrate the wood and to enrich and stabilize the deck. It leaves a clear matte finish so that you can enjoy the natural beauty of your deck. 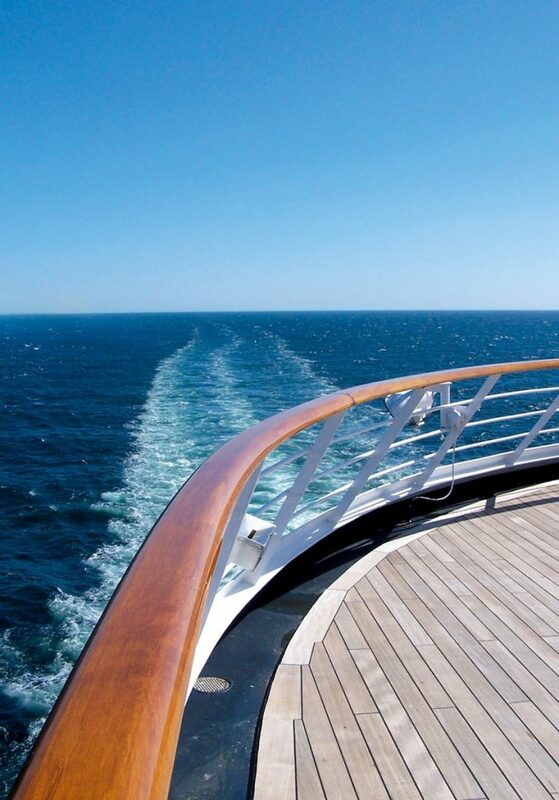 Once you have fed the deck with nourishing oil, it will help to keep your deck looking good for longer. To keep your deck looking its best, make sure to wash it regularly to get rid of dirt before it has time to penetrate the wood. As the elements do their work, your deck will lighten to a light grey color. When this happens, simply repeat the second and third steps of the process to restore and rejuvenate your deck – there’s no need to strip or sand. With an oil such as Deks Olje D1, it is easy to reapply to restore the wood. Make sure to maintain your boat regularly for a beautiful looking boat, with a deck that will last longer.